TGIF! Luckily, this week just flew on by for me. I'm looking forward to a relaxing weekend of doing nothing, and while that sounds good in theory, I'm sure I'll be up to something. I wish I could just veg out and watch tv but I'd get too antsy after a bit. We'll see. Anyway, due to recent life events, I've decided to share what has brought me happiness each week. No matter what struggles you are going through, there is happiness in your life, even if it's just the smallest thing. I hope you enjoy 5 things that make me happy and I'd love to hear yours. Veil Illuminating Complexion Fix for Face & Eyes-- Back to the not sleeping thing--another one of my tricks is to brighten under my eyes. It definitely helps. I've been obsessed with this illuminator. I place it under the eyes, sometimes in the upside triangle, sometimes just the dark circles, and then blend it out. If I'm feeling fancy, I use it as a highlighter on the high points of the cheeks, chin, forehead, and down the nose. It is so good, y'all and isn't shimmery. I've tried drugstore versions and none compare to this. Plus it comes in several shades--pictured is porcelain. I got this at Frendsbeauty.com. Bright Polishes--My Atlanta blogger friend Parker sent me a mani-pedi package with a sweet card to cheer me up. 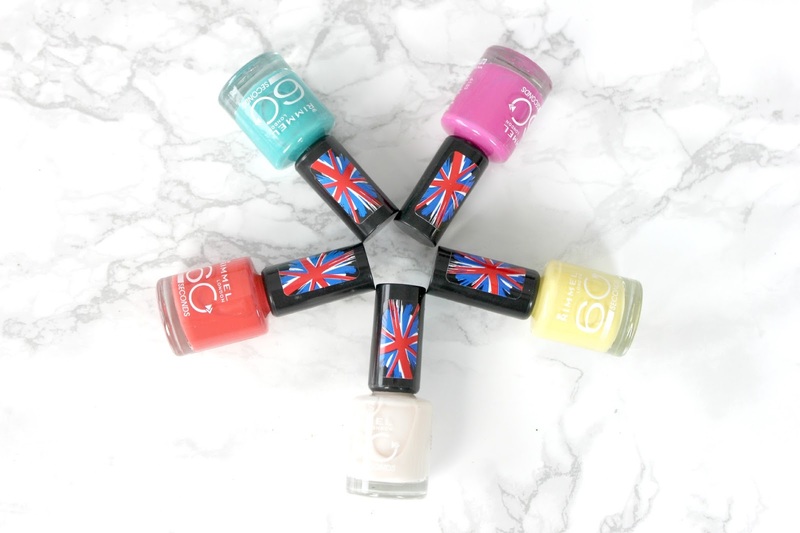 Among the items were these adorable bright polishes. How cute are these? They're Rimmel and truly dry in around a minute. I've painted my nails a different color every day this week--the 5 yr old I take care of chooses the Color of the Day and then proceeds to judge my nails! She was not a fan of the yellow. Today, I'm wearing the red one. We'll see what she thinks! Tough crowd. Mucinex--Can we give a hand to the creators of Mucinex? Totally gross but I've had a cold this month, and this is the only thing that has been working during the day. And being able to unstop my sinuses makes me happy. I'm feeling so much better! SPRING, specifically this Japanese Magnolia--When I was back in my hometown earlier this month, everything was already in bloom and it was already in the upper 80s. This is going to sound crazy, but being around all of the colors and the brightness during such a sad time was suffocating and blinding. When I got back home to Atlanta, it was cold and rainy and I finally felt like I could catch my breath. But when spring arrived this past weekend in Atlanta, I was finally ready and welcomed it with open arms. Pictured above is my favorite tree that only blooms for just a couple of weeks a year. Charlie and I stumbled upon it when we found out "secret" park we found over the weekend. I took a million pics of it and this one was on my Instagram. I'm convinced these are all over Heaven. Just so beautiful. PS: I've got something for you! A $100 Visa gift card giveaway. Just leave a comment (make sure your email is either there or on your profile) on THIS post. A bright lipstick, lovely bath with yummy soaps and shopping at the mall def makes me happy :D glad to know urs!!!! mixups sounds amazing, I loooove my keurig what a great way to try out new coffee. Coffee always makes me happy--I'll have to take a peek at that mixups. That Japanese Magnolia looks amazing and would definitely make my week. It's funny how the simplest things can bring us happiness. Spring is definitely on my list of things that make me happy. I always love when the cherry blossoms drop their blooms and it looks like it's snowing! Have a good one Elle. As mundane as it sounds, comfy shoes are really making me happy this week. It's been a brutal week at work with a lot of overtime and a lot of time running around and just feeling like my feet are taken care of is seriously making me smile. Glad you are ready to welcome spring now! That Japanese Magnolia is just gorgeous! I love your new nail polishes, too! The bright colors are perfect for spring! I love this post, Elle! I'm a coffee girl, too! I need an afternoon double shot espresso just to make it through the day. 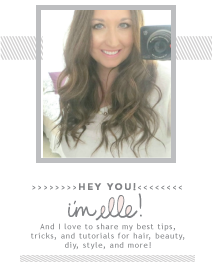 Great tips on the illuminator! I love learning more about make-up from you. 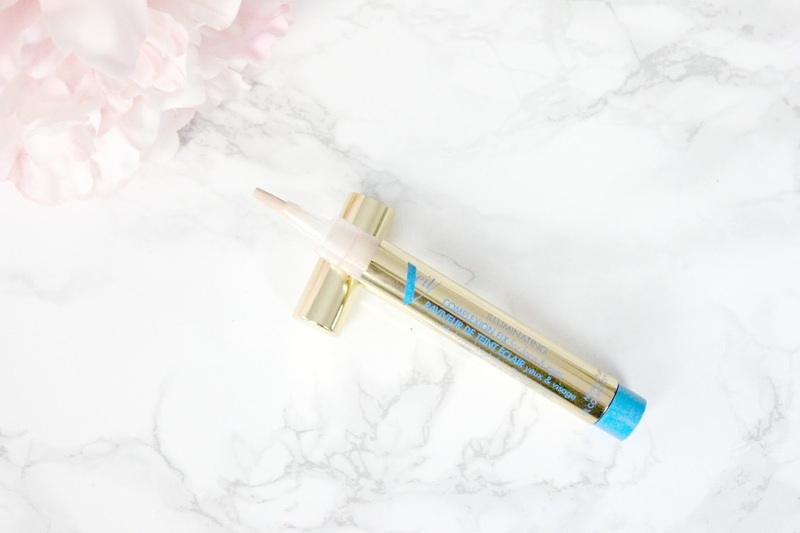 I have an eye brightener that I must have gotten in a gift bag or as a gift with purchase but I never really knew how to use it. I'll have to give it a try! Those polish colors are fun! Painting may nails relaxes me and makes me happy! That Japanese Magnolia tree is beautiful! Have a great weekend! 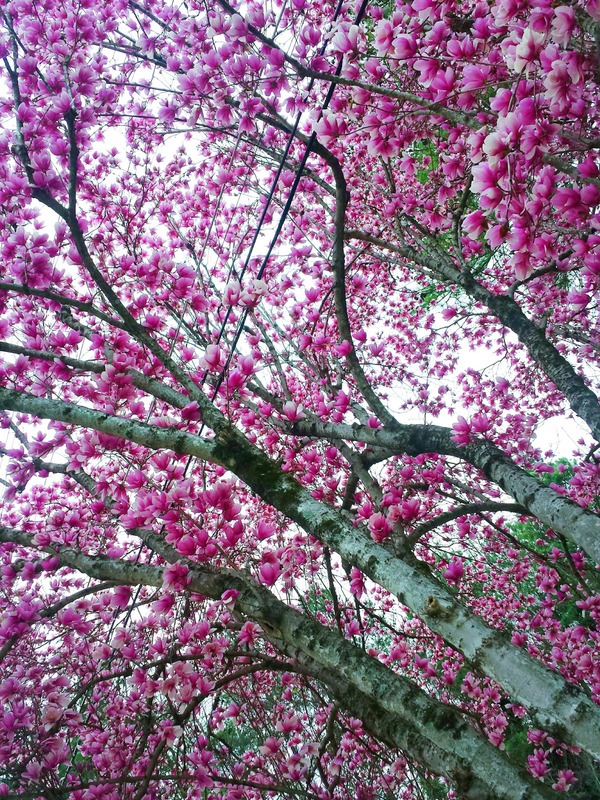 Your photo of the Japanese Magnolia is BEAUTIFUL! Do they smell nice, too? I always look forward to Spring here and the blooming of all of the jacaranda trees (they are like a neon pastel purple if that makes any sense and so pretty)! Those Rimmel polishes are really cute and fun. I'd wear every single color, except maybe not the white. I'm sure the red polish you're wearing today will be 4-yr old approved! So many little things to be happy for! Absolutely love that last picture of the tree - it's beautiful! Have a great weekend - try to veg out! 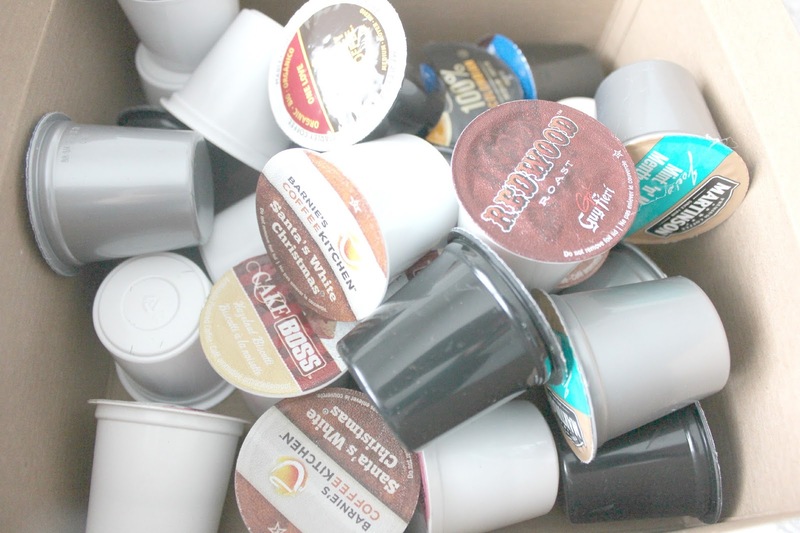 Even though I don't like the concept of Keurig, I loooove the idea of Mix Cups. It'd be awesome if they had that for traditional teas and coffees, I'd be all over it in a second haha. I can't wait for spring either. It's still pretty cold here - and rainy today - plus we had SO much snow this winter. I feel like winter is like, "hey! don't forget about me, I'm still here!" How sweet that you got that package full of nail polishes from a blog buddy. Enjoy the magnolias and have a lovely weekend! Love all of those nail polish colors! So pretty! I hope things start to get better for you soon. Bright nail polishes make me very happy too! And so do books, chocolate, and a relaxing bath. Doing my makeup makes me happy! Which is strange because up to a year ago, I wear makeup only when I am going to work but now, I wear it everyday. Mostly because of testing products for the blog and eventually I learn to love it. Um yes coffee!! It makes so dang happy!! Same with bright nail polish! Have a fabulous weekend! COFFEE, COFFEE, COFFEE!!! I need it! What a fun way to drink coffee, I like the concept. That Japanese magnolia tree os gorgeous! Getting to catch up with some friends made me happy this week. Yeeeah Mucinex! I have allergies as well as getting over a cold, I'm surprised I can still breathe at all. I love bright nail polish too! For some reason no matter what time of the year it is, I still gravitate towards dark colors. No idea why. Coffee and nail polish always make me happy too! Mucinex is seriously my go to for colds if I need medicine. It gets the job done. As a big coffee drinker, a hot mug is a sure-fire way to make my day better too:) I use the old-style coffee maker though, so I haven't tried Mix Cups yet. What you said about spring and not being ready for it in your hometown, then embracing it when it came to Atlanta was beautiful. Those aren't things you typically think about, but I can understand why the bright colors would feel suffocating. Anyway, well said! And the Mix Cup idea sounds awesome! I have a Keurig in my office at work and it would be nice to have a variety to choose from! GIRLLLLLLL.... my sinuses are KILLING me. I've had the sinus infection / head cold from Hades! I need a good day time relief. I'm headed to Walgreens now. ... & getting some illuminator while I'm there. My poor dark circles are extra shady lately. There's a store local to me that sells mixed KCups. I like it. Those flowers look gorgeous in the last picture! I do love coffee too, but for some reason I can't do black coffee. I need soem espresso! This is a great idea to focus on the happy! I know you've had a lot going on but it's so inspiring to see that you still choose to be happy. Give me all the coffee!!!! I am loving all the pastel nail colors lately. The Magnolia tress is just so stunning. Hope you have a great weekend! Spring and bright polishes make me happy too Elle :). I just loved reading this post. I am in love with every Japanese tree I pass right now too! They are absolutely beautiful! If only they stayed that way!!! I love those bright polishes and I need to find that mixed box of coffee! That sounds perfect. I hope you have a great weekend! Im with you on the coffee and bright polishes. Just this week I was having a not so great moment and painted my nails a bright blue haha.. it worked! No joke. Not the most court worthy polish but it worked! Ooh that illuminator sounds incredible - I have such an obsession with illuminators myself! 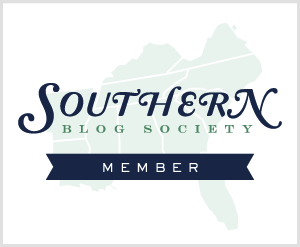 I love this new "section" of your blog! I also like bright colors for nail polishes now - till last year, I only wore light colors and now I am discovering so different ones! I love flowers and when they blossom, like in spring... so nice! I don't drink coffee, but I can't do well without a glass of water in the morning (and I spend the day drinking lots of water :) Never heard of Mucinex before, but will keep it in mind now :) And the Veil Illuminating Complexion seems to be very good - I use the YSL Touche Eclat, but similar products are always welcome! You are absolutely right about happy things and it took me some years to see that - if we are able to see the beauty of the world, it's because our parents made it possible for us! Yes! Mucinex is a life-saver! So glad your cold is going away and you're feeling better. I too love bright polishes and COFFEE! These make me happy too! I love that nail polish! I recently found a great foundation and I love how my skin looks when I catch a peak in the mirror - does that count? Oh, and I can not do without coffee! I'm rolling at the fact you said Mucinex. hahaha But hey, totally understand. Enjoy the lovely weather and sit under a lovely tree like that for some level headed thinking and relaxation. we are still waiting for spring around our parts..
getting next to no sleep around here.. that illuminator sounds nice.